Are you raising the next Rockefeller? Class up your kid’s bedroom with a monogrammed comforter and dark wood furniture. 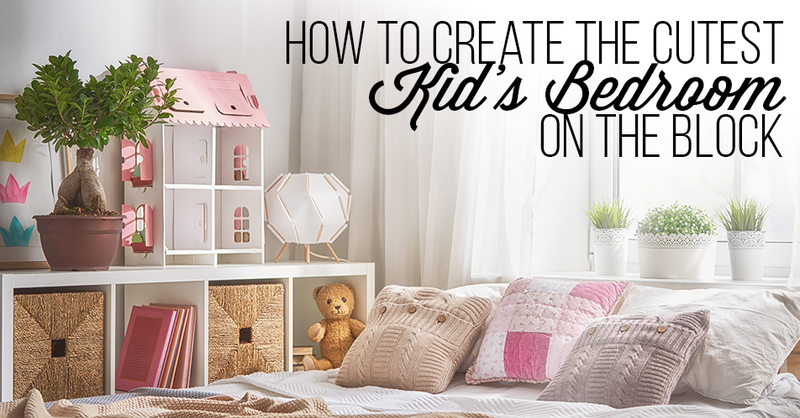 Complete the look by painting the window frames and door a deep red or dark green to make this room the perfect place for your child to dream of living a life of luxury. Embrace the fact your child marches to the beat of a different drummer. Create a room as unique as they are with retro paisley wall coverings, unique artwork and other vintage finds. Make sure they have plenty of cushions on the floor for hanging out with all of their friends. Does your child act older than their age? Clean lines and simplicity are the hallmarks of modern design. Any mature child will enjoy spending time relaxing in such a restful and calming space. Combine light gray walls and floor with a low platform bed for the ultimate in modern living. Is your child a budding Rembrandt or pop idol in the making? Support their artistic ambitions with a bedroom which will help them make it big. Bright colors and lots of lights are essential, but try building a mini-stage or art studio to motivate them to really practice every day. Kids who spend more time on the field or court than at home will love to sleep in a bedroom inspired by their favorite sport. Start off with sports memorabilia on the walls, but think about adding sport-themed furniture and painting the room the same colors as your kid’s favorite team. Remind your daughter that it is still okay to be feminine. Help her celebrate the unashamed joy of being a girl by using plenty of pink and white in her room. Make her feel like the princess she is by sleeping under a canopy on her four-poster bed with a padded headboard. Don’t forget plenty of closet space and full-length mirrors. What kid wouldn’t love to sleep in a bedroom inspired by their favorite story? Whether your child’s favorite character is Harry Potter or Sponge Bob Squarepants, if you decorate their room to resemble their favorite story, you will be well on your way to winning the Parent of the Year Award. Wickmans Furniture is a unique family-owned furniture store where you are sure to find everything you need to transform your child’s bedroom from the ordinary to the extraordinary. Wickmans Furniture offers top brand names without the brand name prices. Stop by the store to see the deals everyone is talking about.